Wright Heerema Architects designed this global financial client's 160,000 SF office space in Vancouver, British Columbia. 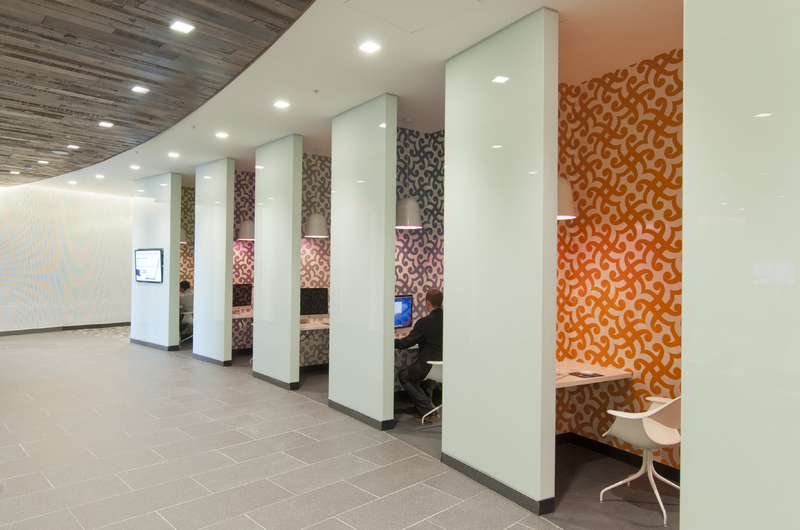 The space provides an open, collaborative environment for team members to interact. 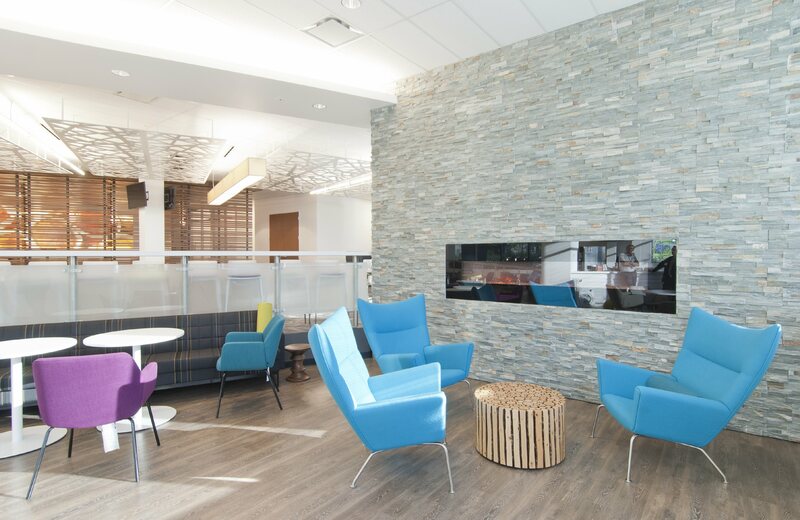 WHA designed this global financial client's corporate office space according to their specific workplace needs. At approximately 53,000 SF each, all three floors were designed with the intention of encouraging employees to gather and with one another. 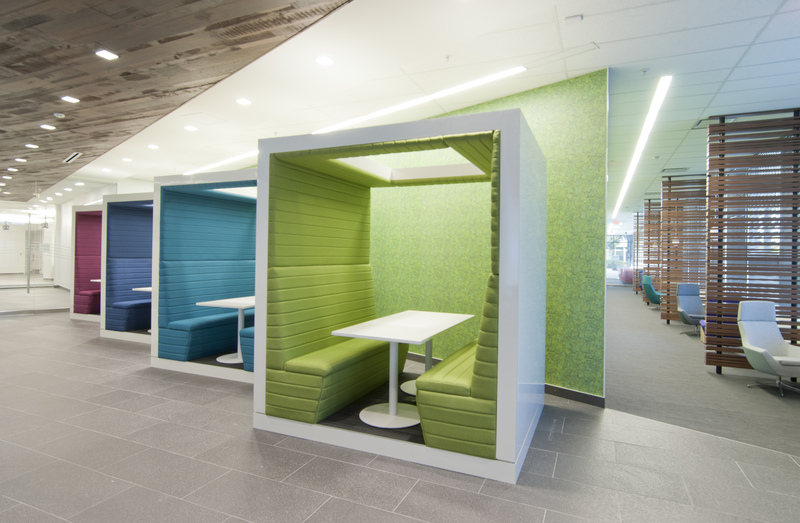 The efficiently designed open office environment helped increase shared space among employees and encourages them to work remotely in one of many collaboration zones.